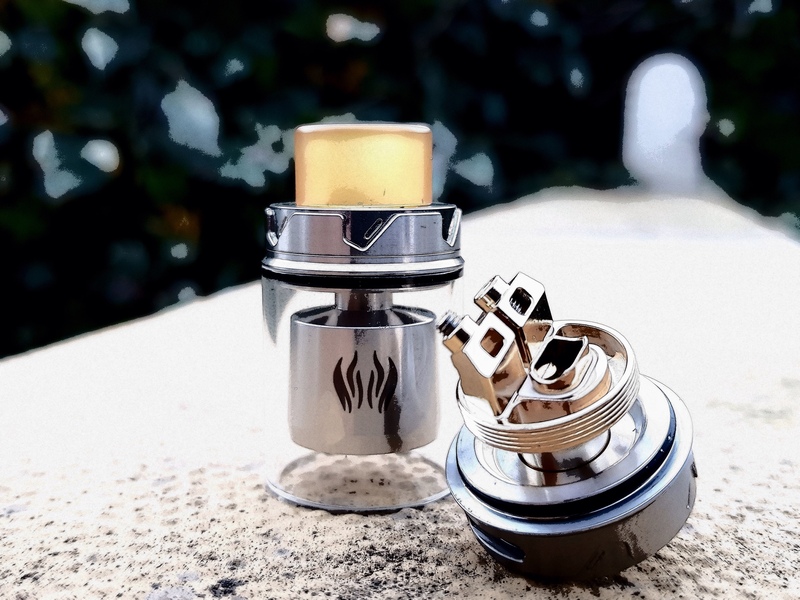 The Avidvape Ghost Inhale RTA is an innovative RTA tank designed for easy single coil building with unique dual posts build deck. The Ghost Inhale RTA features a 3.5ml e-juice capacity (a 5ml bubble glass tube is included) and 24mm diameter with a convenient top filling design to meet your daily vaping needs. 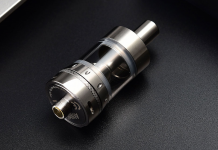 The Ghost Inhale RTA simply breaks down into its component parts to allow for easy cleaning and maintenance. The base section features a Stainless Steel 510 with a fully adjustable gold plated centre pin. This section also houses the airflow. With an adjustable airflow control ring and a wave pattern machined it has much better grip when adjusting. Although it is a little fiddly as the ring and base are slightly narrower than the tank. I found it easier to remove the Atty from the mod to make any adjustments. The airflow ring has a nice amount of resistance when turning with a stopper either end. The deck of the Ghost sits up off the base by about 5ml, more like an RDTA style. It allows the cotton to hang slightly. I find this design allows for faultless wicking. This is because there is plenty of space for the e-juice to flow around under the deck, and it doesn’t have to work too hard to get to the wicks and up to the coils. The Ghost features a really well laid out deck. With two offset square posts and two massive square post holes. This makes it perfect for installing either flat ribbon style wire of wide gauge fancy builds. 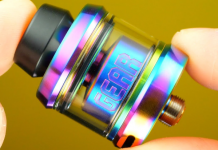 One of the unique features of the Ghost RTA is the layout of the posts. The post holes are set at a 45-degree angle with the grub screws then coming in from the top. 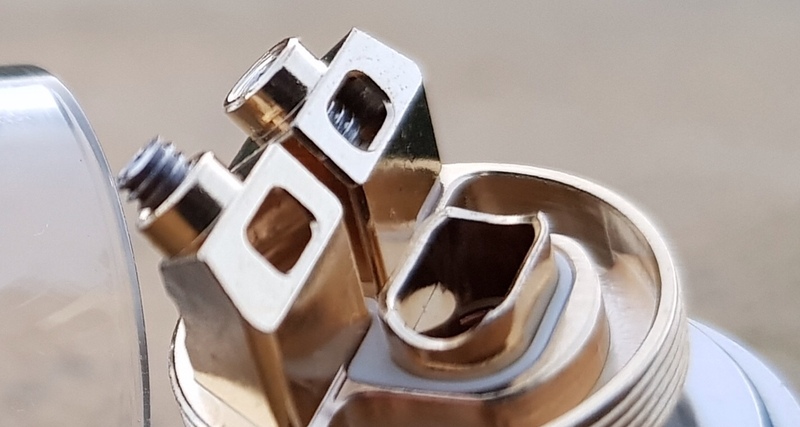 The Avidvape designers have also added some extra thread to the back of the post holes. This allows you back the grub screws right out without the fear of them dropping completely out. The second unique feature is the curved airflow opening. 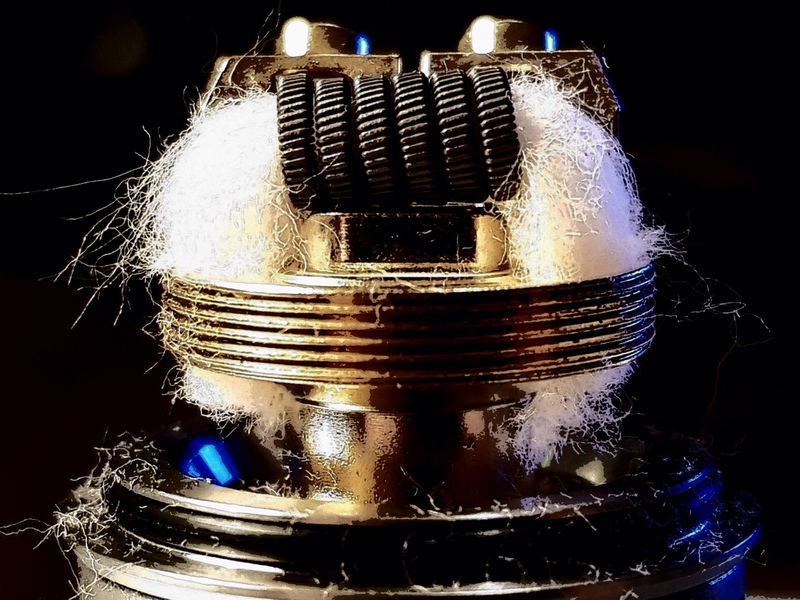 This matches the profile of the coil that sits above it, allowing for more direct airflow straight under the coil. The raised deck also reduces the distance from the coil to your lips assisting with a denser, flavoursome vape. The smaller sized chamber threads down directly over the deck and seamlessly joins the deck and chamber together. The outside of the chamber has some nice detailing running around the outer edge. Where the section has been flattened off to create a diamonds design. As with many of the tanks on the market today, you get a choice of two glass tanks, either the included 3.5ml tank or the 5ml bubble glass. The glass tank runs up the colour matched top cap, which is surprisingly deep, compared with the overall height of the tank. They have continued the same wave type design running around the outer edge. Disappointingly, the top lip of the top cap does have a bit of a sharp edge to it. This can only be felt when you rub your thumb across the top section of the top cap. It unscrews to allow access to the two kidney-shaped juice filling holes. The threading on this section is surprisingly fine. There are about six or seven turns to unscrew it, which is about three too many in my opinion. The Ghost is topped off with a very nice PEI 810 drip tip, about 10mm tall, giving you a good amount of clearance from the top cap. The Avidvape Ghost Inhale RTA build. The Ghost deck, really couldn’t be simpler to build on, with its sloped post design, it is literally poke, screw and snip. 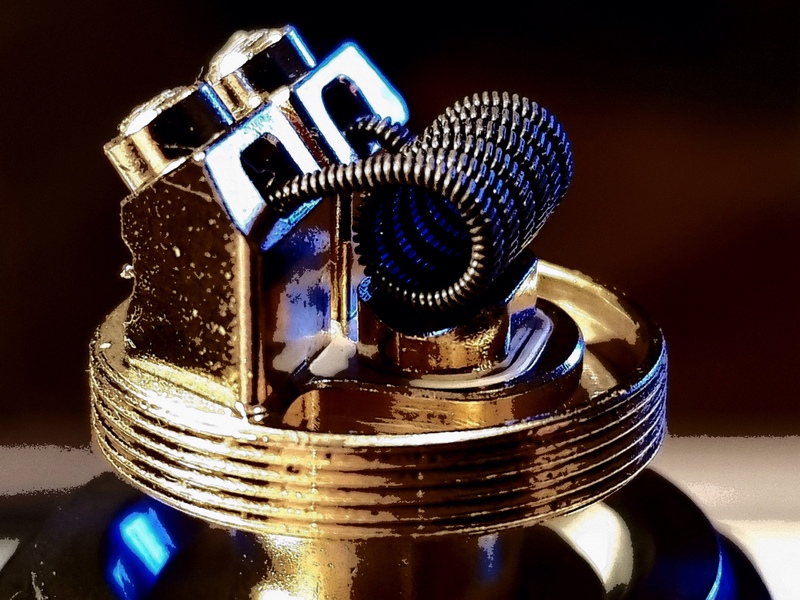 And your coil finds its self-sitting perfectly over the shaped air flow. Wicking couldn’t be easier, after thinning out the wickets with a quick comb, you can poke them through the wick holes and snip off the excess. Remember the cotton will swell up when it becomes saturated with e-liquid and you don’t want to create a choke point. 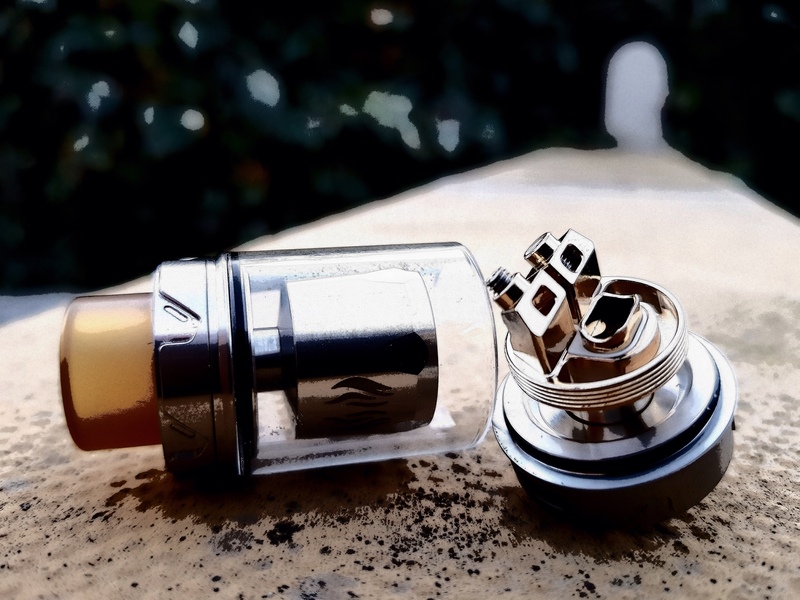 This single coil RTA is not only a pleasure to build on but an absolute pleasure to vape. It produces dense warm vapour, that just goes on and on. The wide open wicking system means that even with the longest draw, you won’t even get close to drying out the coils. Even though there is a wide open air channel sitting directly under the coil. I didn’t really suffer from any leakage apart from a little dribble, just after you fill it up. Which I think I could eliminate if I closed off the air holes before I started. I tend to find that you always get a better level of flavour off a single coiled deck. The Ghost Inhale RTA follows this pattern, with rich flavour reproduction as well as huge clouds. All in all a great little tank, from a little-known manufacturer. 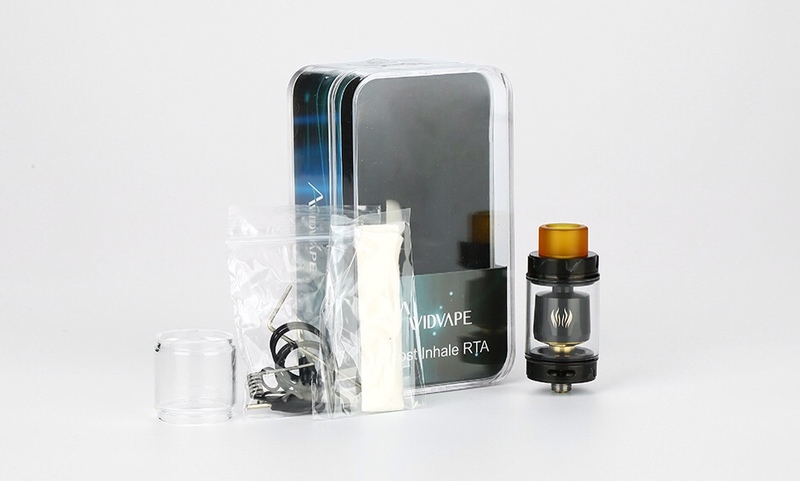 I think defiantly one to look out for if the Ghost Inhale RTA is anything to go by.